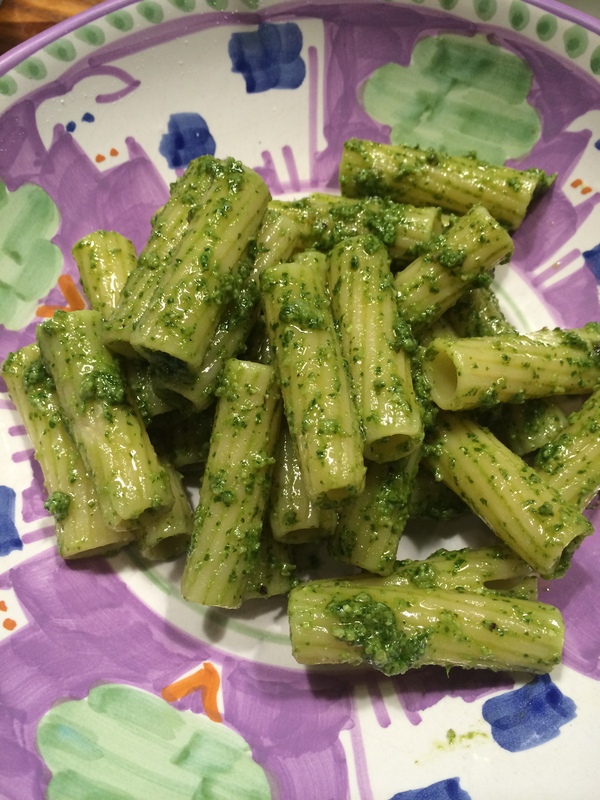 The original recipe for this delicious pesto appeared back in May 2011 on Cooking with Candi. Yummy Pesto was the title. This is the same recipe from my BFF Suki. I have tried many pesto sauces and this remains my absolute go to favorite. 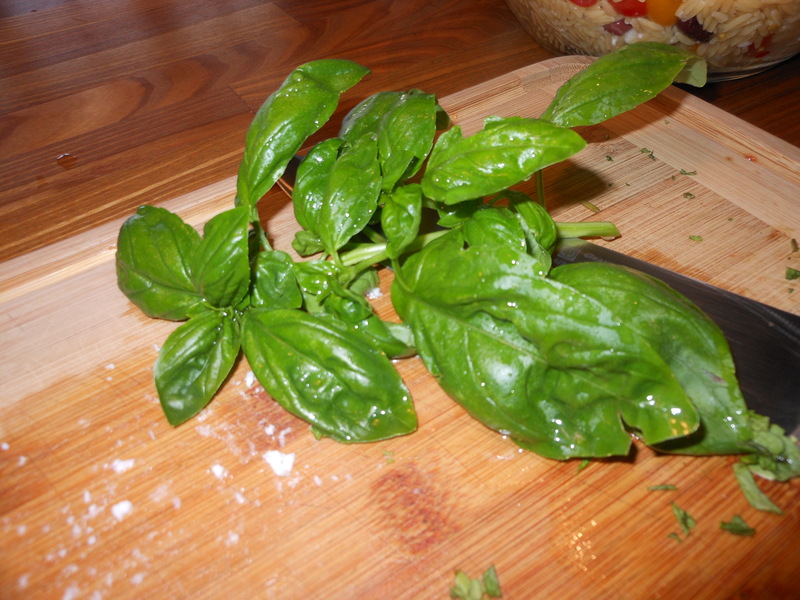 It is super easy and while the basil is abundant you should make it and freeze it. When you freeze the pesto in a container, pour a thin layer of olive oil over the top . I have it frozen for up to 3 months. I use it on chicken, pasta, and it’s wonderful as a spread. This recipe is good for 2 lbs. of pasta usually. So I use 1/2 and freeze the rest if it’s just the 2 of us. 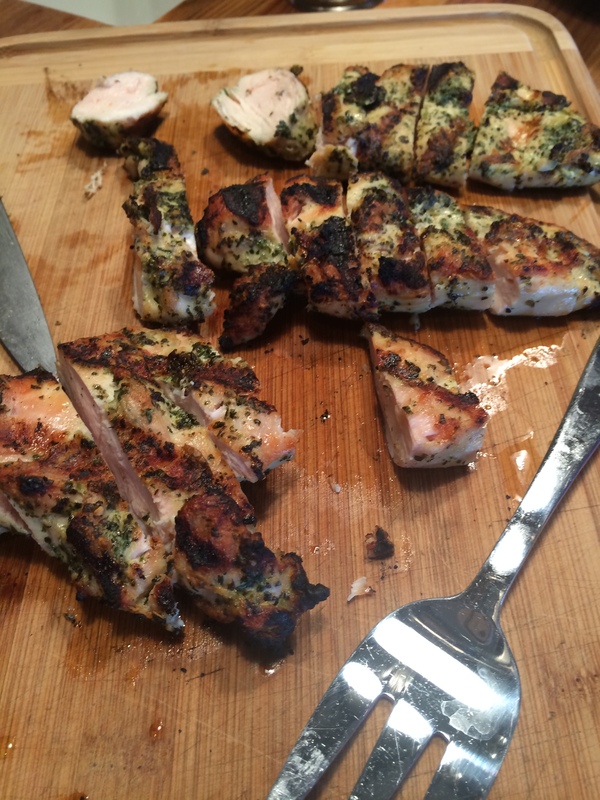 If you are going to use on chicken , just brush on the chicken sprinkle a tiny bit of kosher salt on it and let it marinate for at least a few hours and it can be marinated overnight in the refrigerator. Take it out of fridge and let it sit at room temp. 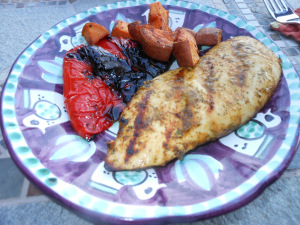 before putting on the grill. That’s it! Cook pasta and drain and add pesto. Done! This entry was posted in meatless, pasta, Sauce and tagged Basil Pesto, freeze pesto sauce, fresh basil pesto, Pesto Sauce. Bookmark the permalink.